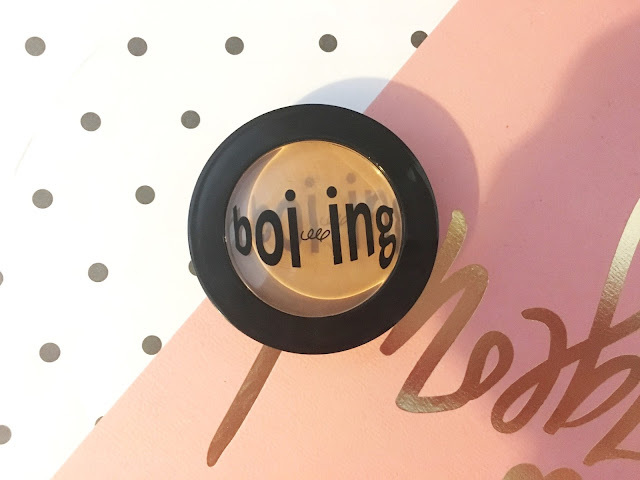 One of Benefit's most famous concealers has to be Boi-ing. Marketed as an industrial strength concealer, this product can camouflage anything from hyper-pigmentation, spots, scars and discolouration. Benefit claim this concealer is an 'award-winning concealer [which] camouflages dark circles, minor imperfections and discoloration without creasing.' They claim this product is also fade proof. I have found this concealer to last a very long time which is great if you are on the go or do not have time to touch up your makeup during the day. This concealer is perfect for all skin types however if you have exceptionally oily or dry skin I think this could be slightly problematic as it will either wipe off during the day or cling to dry patches. However, I think using a suitable oil control primer or a nourishing moisturiser would counteract both of these problems. I personally have dry to combination skin and have no problem with the longevity of this product, I mainly use this product when I have skin breakouts rather than for use under the eyes as I prefer a lighter more liquid based concealer for under the eyes however this concealer definitely has multi-functions which makes it perfect for travelling or on holiday as you can get away with using this concealer under the eyes. Let me know if you have tried this concealer and whether you think it is worth the hype that it is given? Notino have 33,000 discounted products on their website including some of my favourite brands such as, MAC, Marc Jacobs, Estee Lauder, BHCosmetics, Bath and Body Works and lots more. I love how well packaged all my deliveries come, everything arrives securely in plenty of bubble wrap which gives me peace of mind when glass items are being shipped. Let me know if you will be picking any bits up from Notino?